In 1929 he wrote a set of rules for the writing of detective fiction as a set of bylaws for the famous Detection Club, of which G. K. Chesterton, Dorothy L. Sayers, Anthony Cox and he were members. The Detection Club used these Ten Commandments as their bylaws. 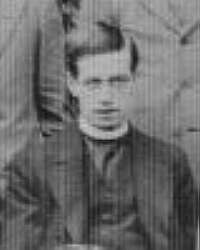 Father Knox was also known for his spiritual writings, including a translation of the Holy Bible and was a welcomed speaker at Trinity College, Oxford.